"Mr. Clean Face;" Missing police report; Buffalo wins another judgment; "Oscar's Speakeasy;" and Mayor obstructs justice. Its been a very busy two weeks in Sin City and Philly. New information surfaced about who purportedly owns the Crazy Horse in Philadelphia, and there are questions as to whether he's the latest version of "Mr. Clean Face." Otherwise, not much is new when it comes to an alleged shooting inside the Vegas Crazy Horse several weeks back other than a confirmation that Crime Scene tape was affixed to the front entrance for several hours, and the police do not want to talk about it claiming an investigation is underway -- an excuse that's starting to sound like a broken record when it comes to this trouble plagued business. Then there's the story of the elderly lady who doesn't want to sell her land to the mayor's family, and the latest threat of eminent domain against her. But what may be the straw that breaks the camel's back is a criminal investigation of the Sin City government currently being conducted by the Nevada Department of Justice, specifically looking at Mayor Oscar Goodman's effort to do a big favor for one of his former criminal defense clients. A reliable source in Philadelphia tells me that Vince Piazza, the father of baseball great Mike Piazza, planned to sell his 100% ownership in the Philly Crazy Horse Too liquor license from the start. Vince merely was the deal maker and planned to get out after it was set up, I am told. However, in cases like this, at least in LV where one of the players is in trouble with the Feds, a "Mr. Clean Face" sometimes appears at licensing hearings as the applicant. That's apparently what happened in Philly. Piazza was the sole licensee, not the about-to-indicted Rick Rizzolo who brags he owns the joint. Based on this revelation, I hope the Pennsylvania Liquor Control Board realizes they may have been duped, and takes special interest in whoever buys out Piazza's interest. It may have been the plan all along for Piazza to secure the license as a favor, then sell it to a La Cosa Nostra interest brought in by Rizzolo, et.al. As in Vegas, it probably won't be known for some time who actually owns the Philly Crazy Horse Too. More information is coming in regarding an incident that occurred on Sunday, January 29 at the Las Vegas Crazy Horse Too. A Vegas Metro PD detective states that police closed the business for several hours after an incident occurred inside the club at around 6 AM. Several witnesses who do not wish to be identified say an African American patron became involved in an altercation with club bouncers, and was injured in the melee. It has not been confirmed whether a fire arm was involved, but the presence of police Crime Scene tape around the entrance of a building is usually reserved for gun related incidents. The detective would not release the Incident Report saying the matter is still under investigation. In the meantime, the story goes unreported as may be the plan, especially at a time when both Crazy Horse's are for sale, and indictments are pending. This is getting ridiculous! 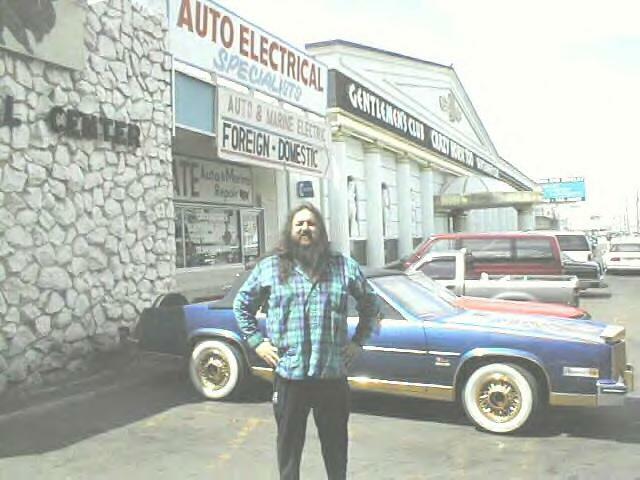 Buffalo Jim Barrier, the guy who owns the garage next to the Vegas Crazy Horse, keeps winning judgments against Rick Rizzolo who just won't stop towing the former pro wrestler's customer's cars. According to Barrier's attorney Robert W. Louke, the above judgment is number thirteen (after several appeals were lost by Rizzolo), but the towing and lawsuits continue. 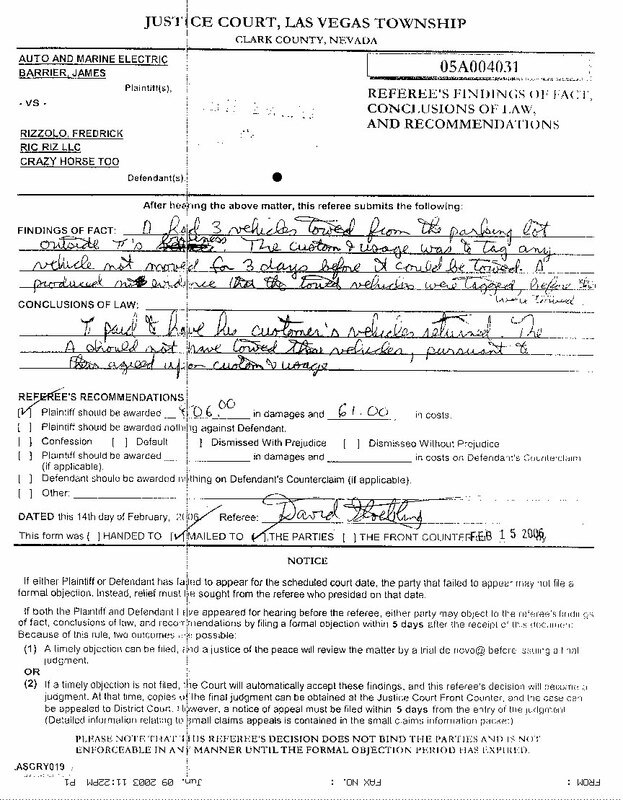 This time its $867, plus the legal fees Rizzolo paid to the prestigious law firm of Patti and Sgro . These judgments fly in the face of Rick's dad Bart who in 1997 said, "There has never been a suit filed that we haven't beaten and I'm hoping our record will stay that way." Now its Buffalo Jim bragging, "Excuse me! There has never been a suit we filed that we haven't won and I'm hoping our record will stay that way!" When it comes to ruthless, cold hearted misuse of eminent domain, the City of Las Vegas takes dubious honors. And when it comes to fighting the laws intended to put murderers behind bars, former mob lawyer Oscar Goodman is equally cold hearted, so I have little hope he will find empathy for another elderly woman. 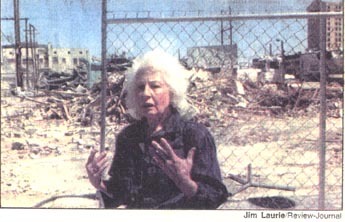 First it was Greek immigrant Carol Pappas who at the hands of Goodman's predecessor Jan Jones lost her Las Vegas Blvd. corner to the Downtown casinos for a parking garage. Now its French immigrant Christina Von Sturm who is possibly facing the same fate. On the surface, Christina is being asked to sacrifice her property to make way for a purported "supermarket." But this is much more likely just a ploy to scare the elderly woman into liquidating her vacant restaurant and bar for a much more secret purpose, and at a price way below market value. 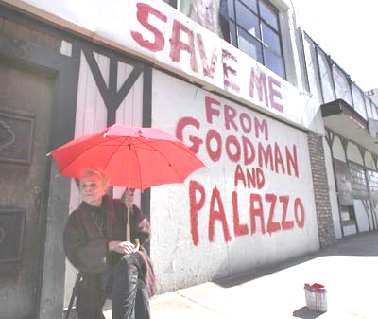 Movie actor Joe Pesci and Mayor Oscar Goodman have been rumored to be interested in going into partnership in "Oscar's Speakeasy," a downtown bar that has long been a dream of our mayor. If Goodman is elected to a national office (he's rumored to be running for US Senate), he can proceed with his dream. But if he stays mayor, its a conflict of interest. "Chez Christina" was a highly successful restaurant once owned by former dancer Christina and her late husband. When Mr. Von Sturm passed away, Christina's family leased the building to a company that opened the "British Bull Dog" pub. When the pub closed, they left a completely equipped, immaculate venue that Mayor Goodman is reportedly drooling over. However, Christina's family is not interested in selling her property at the price offered by Goodman's son Ross and his partner Louie Palazzo, so the Goodman Law Firm filed a Lien Lis Pendens on her property claiming the 85 year old woman made a verbal contract with them. In the meantime, there's the threat of the city taking the property for a supermarket -- something the Draconian new eminent domain law just passed by the US Supreme Court considers a proper use. My guess is that the supermarket idea is nothing more that a ruse to scare Christina's family into selling at Goodman's price. There are many other Downtown locations just as suitable for a supermarket. 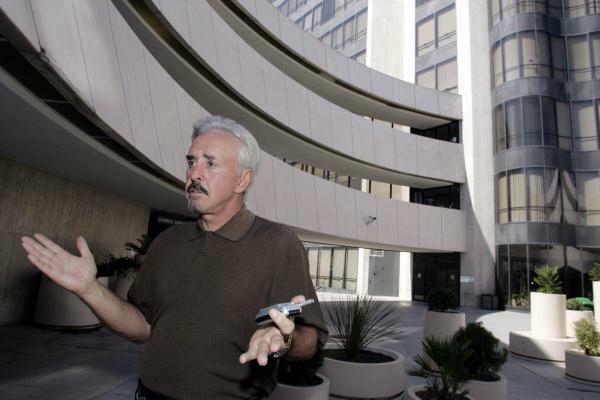 It that's true, the Downtown Redevelopment Agency may threaten to take the property, but change its mind at the last minute as a favor to Goodman who is its chairman. The taxpayers will pay the City's (Goodman's) legal fees, while Christina is left to fend on her own. By then, Christina and her family might be weakened to the point of taking Goodman's low ball offer, or at least that's what might be anticipated. Weakened morally and financially, the grand dame is probably expected to acquiesce -- the same strategy used on Carol Pappas. But I know Christina and her family, and I believe she will have the last laugh in this sad story as did Carol Pappas. After millions of taxpayer dollars were spent fighting Mrs. Pappas all the way to the US Supreme Court, the City finally was forced to pay her $4.5 million for her property. I hope Mrs. Von Sturm is equally successful. When item # 58 was called at Wednesday morning's Las Vegas City Council meeting, there were no representatives present from the Nevada Attorney General's office or the law firms conducting the investigation into Billy Walters' sweetheart deal. This inspired comments from council members that the A.G. was showing disrespect to the mayor and council. In April 2005, Mayor Goodman said, "I can't take action in the middle of a federal investigation" when asked why he would not hold a public hearing into illegal activities at the Crazy Horse Too. Wednesday he was angered because the A.G. would not participate in a public hearing in the middle of an investigation! Oscar, you can't have it both ways! If it was not proper for the council to conduct public inquiries about Goodman's former clients at the Crazy Horse, then why would it have been proper to conduct a public inquiry into what now appears to be a political corruption investigation being conducted by the Nevada Attorney General into why Goodman's former law client and current political campaign fund raiser was about to receive a windfall at the expense of the taxpayers? To try to bring the A.G. before his council to discuss the intricacies of their ongoing investigation, and not bring the Crazy Horse before the council to discuss ongoing atrocities, shows complete hypocrisy on the part of our mayor. The A.G. is correct in keeping a lid on this political corruption investigation until its completion. The only public hearings thereafter should be in a court of law. In the meantime, the mayor scheduled another council discussion on the subject of purported "attorney client privilege" to take place March 1. This item will discuss the merits of withholding requested information from the A.G.'s investigators based on what the City Attorney (actually Goodman) considers attorney client privilege, but its more like obstruction of justice! 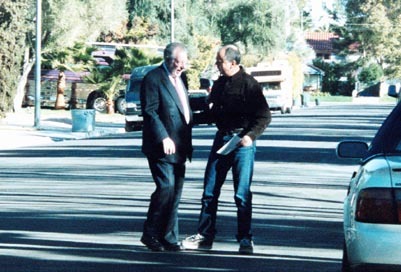 I broke the Billy Walters "Sweetheart Land Deal" story in 1999, and at that time predicted that the deed restriction was a ploy, and that it would someday be rescinded as a political favor. That day has come. Mayor Goodman is obviously obstructing justice as a favor to a former client by withholding official documents from his fellow city council members. According to Councilman Steve Wolfson, the council did not receive their carbon copies of letters from investigators. However the mayor did receive his letters, and stated at Wednesday's council meeting that he turned them over to the city attorney saying, "I turned it over to the city attorney's office for response. They're lawyers, and that's what mayors and council people are supposed to do when we get a letter concerning an inquiry like this." Says who? At least three of the councilmembers have I.Q's above room temperature, and should have been given the opportunity to review this correspondence before it was turned over to the mayor's stooge, City Attorney Brad Jerbic. The mayor also alluded that the A.G. was wasting taxpayer's money by burdening the city clerk with having to produce thousands of documents. But who is really responsible for inspiring this investigation and its costs in the first place? 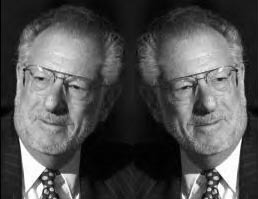 Oscar Goodman -- who now shoots the messenger. Furthermore, in the following letter the chief investigator writes, "you stated that the public simply would not understand the attorney client privilege." By saying this to two attorneys in his office, the mayor insulted the public's intelligence! Why did Goodman refuse to share the correspondence with his council -- including attorney/councilman Steve Wolfson? Did he feel they were also ignoramuses who could not understand its meaning? We need to know what the mayor is hiding? Thank you for your phone call last week. Before addressing the content of that phone conversation, a few general comments are in order. 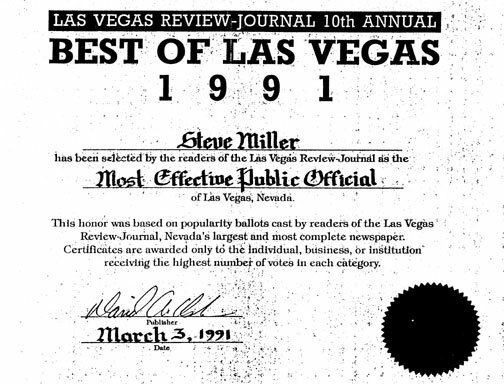 It was our distinct impression when the Las Vegas City Council rescinded its approval of the Walters Group's proposal to convert the Royal Links golf course to a high density subdivision, that the City Council was sincerely interested in obtaining all of the underlying facts regarding that controversial transaction. However, we are very concerned that there has been considerable and unnecessary delay and a lack of cooperation with this investigation and we would like to bring these facts to your attention. To begin, soon after this investigation was made public, a document production request was issued by the Attorney General's office, on November 29, 2005. This document production request, which we attach for your convenient reference, was sent to the City Attorney's Office more than two months ago; yet we still have not received any documents other than those relating to the limited Metro investigation. Several inquiries have been made at the City Attorney's office about the status of these documents and each time we have been told that the document production is being processed and will be available soon. As I am certain you can appreciate, this (now almost three month) delay in producing responsive documents has significantly delayed the investigation. In our February 2, 2006 meetings with the City Attorney's Office, we were subsequently informed there are several relevant documents that would not be produced to us due to an alleged attorney-client privilege. When we inquired as to who was asserting the privilege, we were told that the City Manager, Doug Selby, had asserted the privilege. Accordingly, we requested that a "privilege log" be prepared by the City Attorney's Office, describing the date and nature of the documents not produced. Despite assurances we would receive a customary privilege log, to date, we have received nothing. As recently as Friday, February 10, 2006, in a meeting with Chief Deputy City Attorney Bill Henry, we were told that although the document production was nearly complete, the "clerk's procedure" required that there be a cover letter which was not yet ready, so the documents could not be released. When further inquiry was made about the privilege log, we were told that it also was not available. We were informed by Mr. Henry that a privilege log would be prepared "sometime after the Council meets next week." As you will recall, on January 11, 2006, we sent a letter to you and to the City Council members requesting confirmation that we would have "full and complete access to all City employees and documents, including all relevant documents in the possession of the City Attorney's Office" in order to facilitate this investigation. However, we did not receive a response to or an acknowledgment of this letter. Instead, last week when Mr. Dunlap and I were at City Hall, you asked us to visit your office. In our brief meeting, we raised the issue of the withheld documents. You seemed surprised that documents were being withheld and indicated that you believed that the investigation should be concluded quickly. In response, we informed you that without the benefit of these documents, the investigation was necessarily taking more time than anticipated. Accordingly, we asked you to assist us in obtaining the withheld documents. You responded that perhaps YOU could put the issue of the assertion of the privilege on the next City Council agenda. However, instead you placed an item on the City Council agenda for "discussion and possible action regarding the status of the inquiry into the Royal Links Golf Course transactions." Our obvious concern with this City Council agenda description is that it is too broad and does not even address the issue of the withheld documents. Accordingly, we sent a letter to you, dated February 8, 2006, expressing, our concerns. On February 9, 2006, you called our office to discuss this issue. In that telephone conversation, you represented that the February 15, 2006 City Council agenda item relating to the Royal Links investigation would address only the issue of the City's waiver of the attorney-client privilege as to documents responsive to the document production request issued by the Attorney General's office. You further explained that the City Council agenda item was worded the way it was for the public's benefit; you stated that the public simply would not understand the attorney-client privilege. During our telephone conversation, you were informed that we would be unavailable on February 15 to attend the City Council hearing on this issue. Accordingly, you suggested we prepare a letter addressing our needs and concerns. In response to your suggestion, we hereby submit this letter. We believe that the Board of Examiners adequately and clearly expressed their desire for a full and complete investigation of this matter. Withholding relevant documents impedes our investigation. Accordingly, we hereby respectfully request that the City Council and City Manager conclude that the attorney-client privilege be deemed waived for purposes of this investigation and that all previously withheld documents be produced to us. It is obviously in the public's best interests to thoroughly review the issues, obtain complete disclosure and not rush the investigative process. Accordingly, we respectfully request the cooperation of the City Council and City Manager in facilitating our efforts. We thank you in advance for your anticipated assistance and cooperation in this matter. Our review of the Metro investigation documents reveals that the scope of that investigation was very limited and that a number of issues and transactions were not explored, nor investigated, by Metro. We are not at all critical of the Metro officers, as it appears that they professionally carried out their assigned task. However, we have already discovered several facts and transactions, which apparently were not reported by Metro or the press, that lead us to believe there were other, unreported expenditures of City moneys and resources, for the benefit of Mr. Walters. We believe these transactions should also be part of our investigation. Based on the above information, its obvious that Oscar Goodman would do anything, including insulting the public's intelligence, to pay back a former client, and only a mayor would have enough power to hinder this kind of investigation. But don't take my word for it. Just look at last Friday's headlines. 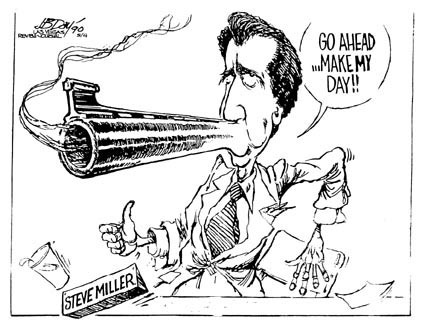 When the dust settles on the Billy Walters probe, I hope it brings an end to the corrupt administration of "Teflon Mayor" Oscar Goodman.